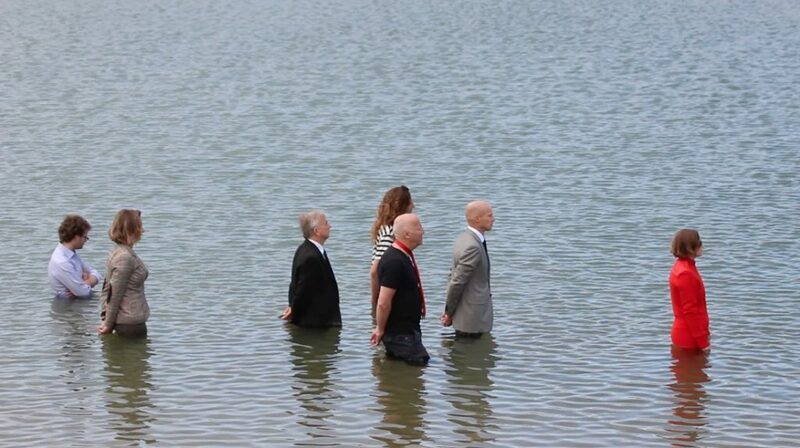 After the initial three performances, the live performance had found its form and the decision was made to execute at least six more iterations in bodies of water off of six continents, including New York City. 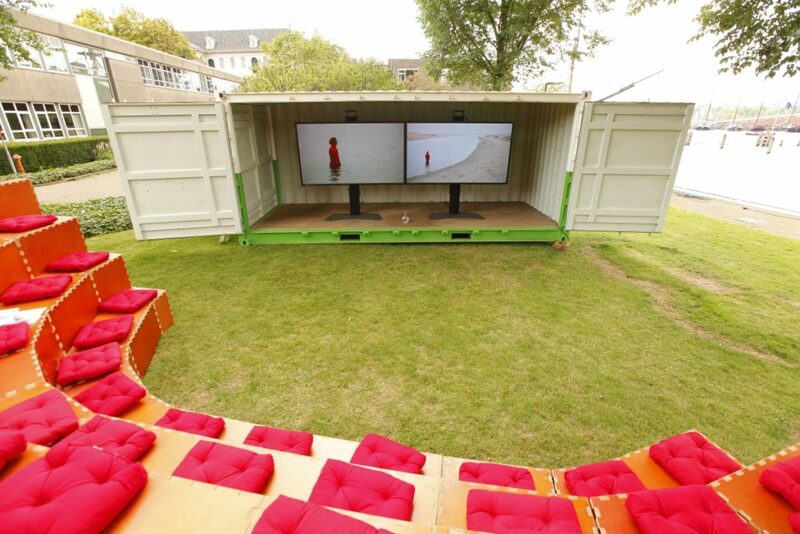 With the 4th iteration in the Netherlands, the project found its form as an autonomous video work as well. 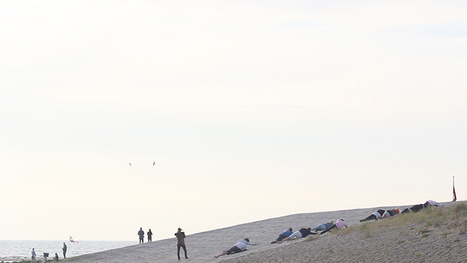 The concept: film the entire performance in real time, edit as a slow durational video work of the same length, and then show a large-scale multi-channel video installation on location within two weeks of the performance. 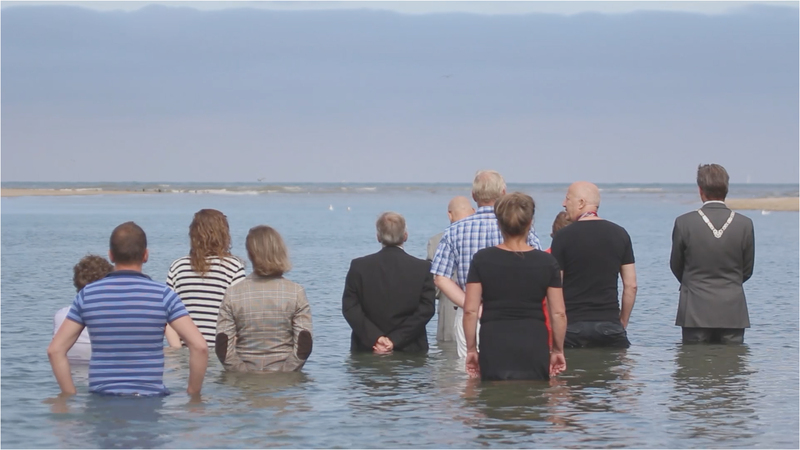 Primary partnership with TAAK, the Dutch organization for art in public spaces in the Netherlands; formal residency with Satellietgroep to execute the project in the North Sea. Collaborated with Aziz Bekkaoui, a local fashion designer, on the costume and Jonas de Witte, a local cinematographer, to capture the entire 12 hour 46 minute performance in real time. 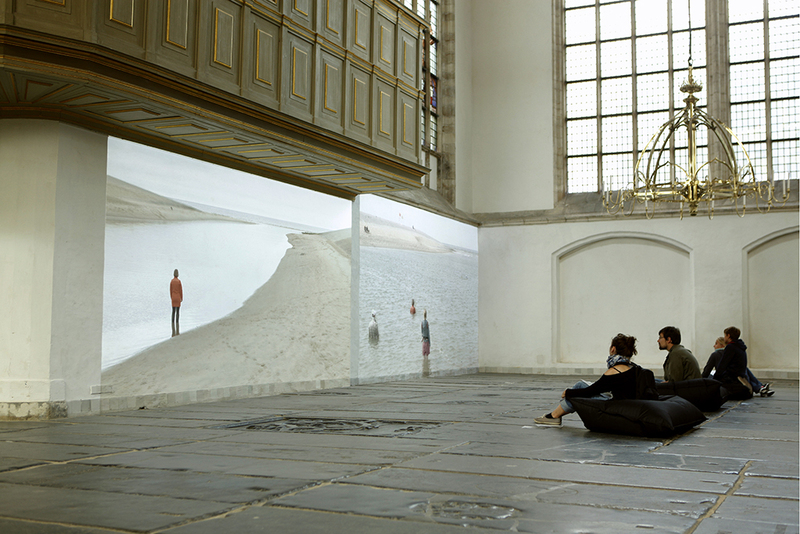 Eight days after the performance took place, the durational video (12 hours, 46 minutes), was exhibited as a two-channel video installation in Amsterdam at four locations as a cultural part of SAIL Amsterdam: De Appel, Marineterrein, Oude Kerk + Pakhuis de Zwijger, August 19-23, 2015. Major public participation (47 in the water, 55 in the movement phrase, several hundreds gathered to watch the final moments), major press attention in national publications. Over 5,000 people encountered the live performance and/or the video work. 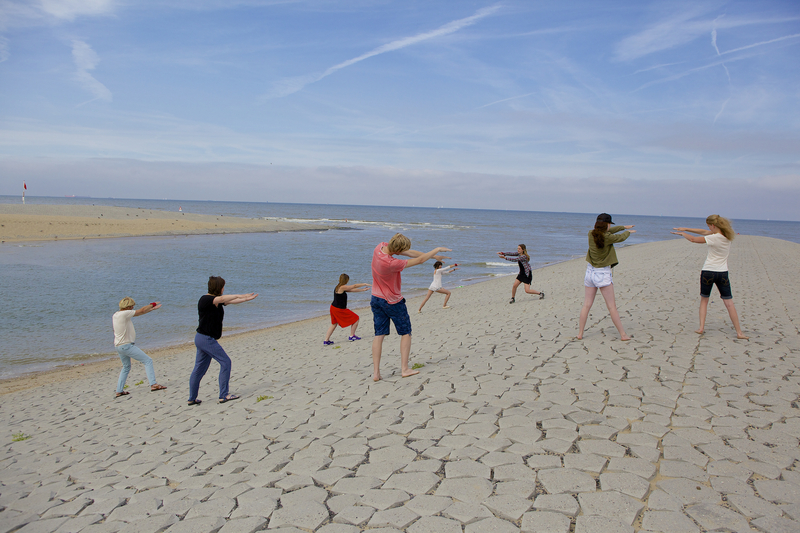 Other key collaborators: Helma Hogervorst, Frank Bloem, Aziz Bekkaoui, Carrie Dimaculangen,Bjorn Jansen, Sophia Zürcher, Ronald Boer, Joshua Dumas, Max Radermacher, Stacey Engels, Lies de Jager, Julie Örtegon + Saori Tahara with many thanks to the artists at Locatie Z, Surfles.nl, Aloha Surf, DeBeslagkom, and our friends at the Hotel Savoy for being such generous hosts, participants, contributors and advisors! Following the Amsterdam exhibtion, the 36.5 / North Sea durational video work won First Prize at the Creative Climate Awards in New York City (2015) and was shown on a small scale in group shows at the Taipai Economic & Cultural Center (2015) and Spitzer School of Architecture (2016) and Momenta at Atlas Studios (2017). It was shown on a large-scale, site-specifically in The Netherlands at Oerol Festival in 2016 and together with subsequent iterations ever since.